We all heard about unmanned combat aerial vehicles or UCAVs. But have we ever heard about unmanned aerial bomber, that too stealth? Perhaps not! Well, India is all set to unveil its ‘top secret’ stealth bomber by end of this year (2014) for public. Developed by India’s premier Defence Research and Development Organization (DRDO) exclusively for the Indian Air Force (IAF), it was officially known as ‘Autonomous Unmanned Research Vehicle’ (AURA) during its development stages till now and will be known as ‘Indian Unmanned Strike Aerial Vehicles’(IUSAV) in the aftermath of production stages. Although it is yet to be given a call sign/name of its own by the Government of India or DRDO like India’s first Light Combat Aircraft (LCA) has been named as ‘Tejas’ (radiance). Once commissioned and made operational, it will surely act as the ultimate ‘force multiplier’ and ‘game changer’ in any ‘air-sea-land’ battle scenario of the future. On a lighter note, it will steal the thunder in a war from India’s adversaries with its most advanced stealth properties. With AURA, victory is certain in war!! Technically AURA/IUSAV is a UCAV. The only difference is that it will be of long range with properties of ‘stealth’ making it almost undetectable on defence radars. Unlike UCAVs which only armed with missiles (like Predator of US which is armed with ‘Hellfire’ missiles), it can be armed with bombs, both nuclear and conventional. Due to dangerous war scenario and possibility of heating key enemy ‘high value targets’ (HVT) deep inside enemy territory, AURA/IUSAV has been developed to minimize human casualties in such missions and at the same time ensuring maximum damage to enemy’s strategic assets. 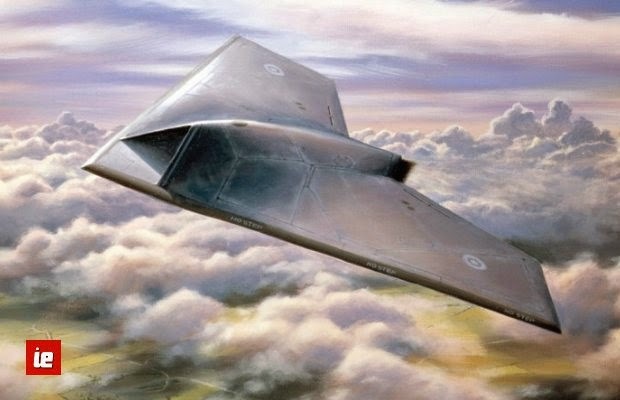 The AURA will be stealth UCAV, capable of releasing missiles, bombs and precision-guided munitions. The program is in its project definition stage. 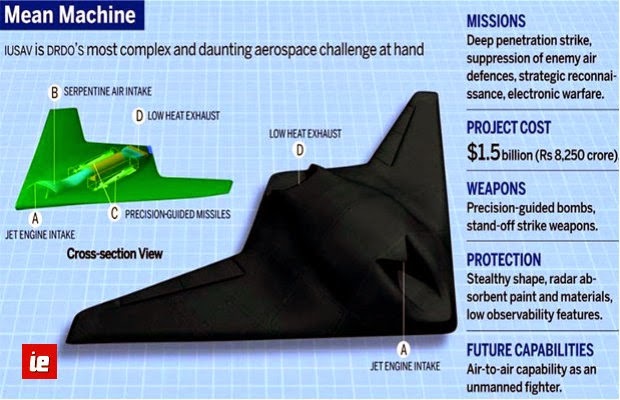 The design is in line with what former DRDO chief controller for Aeronautics said in 2007, that India’s combat drone would be a stealthy flying-wing concept aircraft with internal weapons and a turbofan engine. The AURA’s design is similar to Northrop Grumman’s B-2 Spirit. It is designed by DRDO’s Aeronautical Development Agency (ADA) but the crucial ‘operational or technical details’ are still wrapped in mystery. Secrecy, as they, is the key to victory. The DRDO had embarked on the AURA project in 2009 when it was aimed to be produced as part of a plan to develop defence weapon systems. By 2010, DRDO confirmed that all technologies required for the AURA had been identified, most importantly, the flying wing and stealth technology. DRDO plans to create a special flying wing design to the combat UAVs instead of an aircraft design which other drones have adopted in other countries. The flying wing design would become more elusive with its low radar cross-section and can thereby escape detection by enemy sensors. On May 31, 2012 the then chief of India’s DRDO Vijay Saraswat was a guest of honour at a little-known aerospace seminar in Linkoping, Sweden. The missile scientist took a spin in a Swedish Saab Gripen fighter jet, giving local journalists a fun photo-opportunity. But nestled in an elaborate presentation Saraswat later made at the seminar was something that had never been seen before: The first ever design images of an Indian military project that’s been officially designated secret, one that neither DRDO nor any other arm of the Ministry of Defence will say anything about. The pictures were of the Indian Unmanned Strike Air Vehicle (IUSAV), codenamed AURA, an advanced unmanned stealth bomber that resembles classified experimental Cold War aircraft rather than anything India has ever been known to attempt. The ADA has described the AURA/IUSAV as a “self-defending high-speed reconnaissance UAV with weapon firing capability.” The first images released as part of a presentation shows the UAV as having a stealth design. It will cruise at medium altitude and will be capable of carrying two or more guided strike weapons with on-board sensors for targeting and weapon guidance. The flight control system and data link packages of AURA will be designed and developed jointly by ADA and Defense Electronic Application Laboratory. DRDO’s Chief Controller, R&D (aeronautics), Dr Prahlada said, “Capable of flying at altitudes of 30,000 feet and weighing less than 15 tonnes, the UCAVs will have rail-launching for the missiles, bombs and PGMs (precision-guided munitions) they will carry.” The DRDO is going to use a Kaveri engine to power this unmanned vehicle. The AURA will be an 8-10 tonnes aircraft with a range of 300+ km. It will be equipped with on-board mission computers, data links, fire control radars, identification of friend or foe, and traffic collision avoidance systems. It will be adept at firing missiles and bombs at enemy targets with precision. DRDO Chief Avinash Chander said that the combat drone i.e. AURA, which will be able to detect and identify targets and fire weapons at them, will be controlled with command and control centers (CCC) spread across the country. The AURA will have short take-off and landing capability on prepared runway. While DRDO is confident on developing and designing these advanced long range UCAVs indigenously, it may seek consultancy or collaboration from foreign sources, especially in areas concerning stealth and issues related to take-off and landing. DRDO aims to develop the UCAVs for Indian air Force (IAF) by 2019 to 2020. The secret Aura program currently functions on a Rs.100-crore start-up budget for the design and definition phase. A top officer associated with the program indicates that the Aeronautical Development Agency (ADA)-a consortium of agencies including DRDO labs and Hindustan Aeronautics Ltd (HAL) -was hoping to complete a major chunk of the complex project for just under a billion dollars. DRDO has its most complex and daunting aerospace challenge at hand, considering that the specific technologies that would make the IUSAV useful are areas that India has little or no expertise in. These include flying wing aerodynamics, RADAR absorbent paint and structural materials, remotely deployable smart weapons for surgical strikes, and most importantly, the intricate and unassailable communications and data-link architecture required to control an aircraft with a lethal payload from hundreds of miles away. If the Indian aerospace establishment’s recent track record with indigenous aircraft is any indication, IUSAV appears to be an audacious pipe dream. DRDO’s own defence to such a claim is that unmanned combat drones comprise secret propriety technology that no country will ever share with India. And while that’s true, France, Sweden and the UK have all started discussions with DRDO in an attempt to push their technologies into the Aura program. Indeed, IAF, which will be the primary operator of IUSAV, has conveyed in no uncertain terms that it wants a platform with as little foreign assistance as possible, and strictly no foreign help in any of the critical design areas and sub-systems. This stricture springs from the force’s reasonable fear that foreign governments or contractors could withhold critical after-sales help during a conflict or war. In March, 2013 Defence Minister A.K. Antony informed Parliament that a modified version of India’s troubled, unfinished Kaveri jet engine could power IUSAV. Several academic institutes, including IIT-Kanpur, have also been roped in for specific areas of critical research for use in IUSAV. 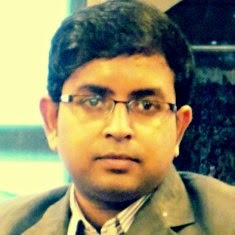 DRDO is working on other totally new areas that include serpentine jet intakes critical to stealth performance and cool exhausts to suppress the platform’s infrared give-away, enclosed weapons bays and conformal sensors and antennae that will perform their crucial functions without compromising on the low observability. If everything goes as planned, an off-limits section of ada in Bangalore, headed by senior aeronautical scientist Biju Uthup, hopes to begin testing a prototype of IUSAV by 2016. As things stand, IUSAV is only the latest in a healthy list of similar ‘flying wing’ stealth drones being developed across the world. While India has an array of UAVs to monitor its sensitive borders, it has definitely taken up the challenge of advanced defence and attack systems in the context of the modern network centric warfare scenario. With highly advanced drones in the west like ‘Predators’ armed with precision-guided missiles, India will also be equipped with its indigenous combative smart drone in the near future. For India AURA or IUSAV is not just an innovation in strategic warfare of 21st century, but a sign of India’s resilience as well as ‘giant leap’ for indigenization efforts of India’s dynamic military industrial complex (MIC) which has heralded the future of ‘revolution in military affairs’ (RMA). Three cheers for DRDO and India! !